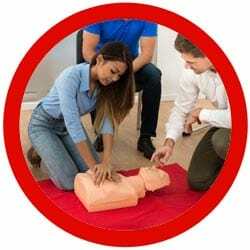 This qualification is ideal for those already working, or preparing to work within industry wishing to become a First Aider in the workplace for the purposes of the Health and Safety (First Aid) Regulations 1981 and the Health and Safety (First Aid) Regulations (Northern Ireland) 1982. Topics covered include: the roles and responsibilities of the First Aider; assessing an incident, recognising signs and symptoms of injury and illness, assisting a casualty who is suffering from major injury and illness, chest injuries, spinal injuries and anaphylaxis. – Deal with injuries to muscles, bones and joints.